The perfect gift for any occasion delivered instantly, or on the day you want! Sharing the love of digital comics has never been easier. ComiXology eGift Cards will be delivered by email and are redeemable on thousands of books at comixology.com and participating websites powered by comiXology. Plus, our eGift Cards have no hidden fees or expiration dates! Give the gift of comics! Choose preset gift amounts from $10 to $500 or set your own gift value! 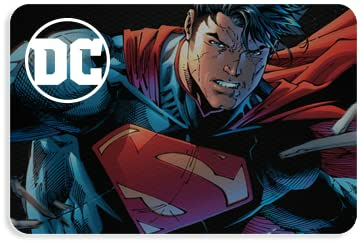 ComiXology eGift Cards are redeemable to purchase books on comiXology.com and have no hidden fees or expiration dates. Books purchased on the comiXology store will automatically sync across mobile and tablet devices that have the comiXology Comics app. All eGift Card purchases are final and non-refundable. Tell your friends about comiXology eGift Cards! Have questions? Visit our FAQ page or contact us at support@comixology.com or on Twitter at @cmxsupport.